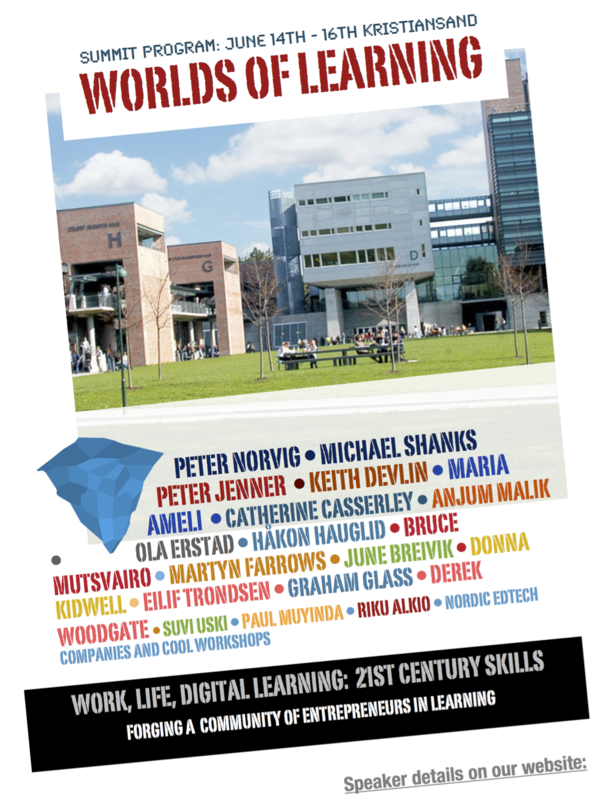 World Learning Summit 2019 is our ninth annual conference on learning, education and the impact of digital media on society. Not a pedagogy conference, nor a technology conference, WLS adresses the wider framework of knowledge production, flows, spaces and knowledge consumption in a world defined by online presence 24 hours a day, 7 days a week. Join us in charting the future of learning, together with world class speakers and a community of returning speakers and attendees. Technology in education is as old as education itself; what has changed over time is not the basics of education as much as the technologies being used. Learning is a key aspect of being human, but what sets our age apart from any other is the extension of media and communications technologies — now enabling “education at scale” as well as learning in a media-rich and self-defined eco system of available insight. An unprecedented wave of innovations has given us the internet, interactive media, a wealth of content, and also new media monopolies that give cause to familiar concerns with equality, as much as with quality of communications flows. Across the world, education as a social institution is being challenged to re-shape the ways and contexts within which learners learn. Yet, education research paradigms and education institutions are surprisingly slow in meeting the challenges of the brave new world of education technologies – the ideals, ideologies, possibilities and pitfalls represent an open invitation to cross borders between scholarly disciplines, as well as the “the wall” between theory and practice. Join World Learning Summit to help tear down that wall, reshaping our understanding of quality and equality in an age of global learning possibilities – where what we do meets how and why we do it. Who´s speaking at WLS 2019?